Billy Swan has been through just about every area of the music business, gaining experience, paying his dues and inching his way up with every step. 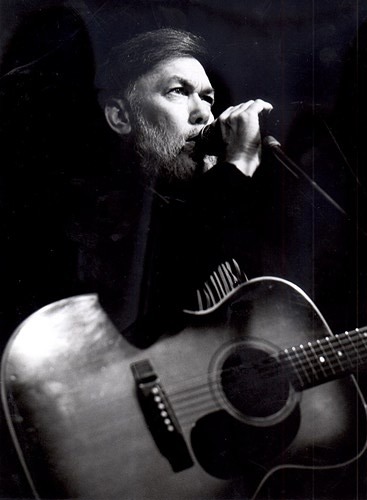 He's written songs, swept up recording studios, played with 3-piece combos in local beer joints, produced albums and toured with some top performers. Now Swan has established himself as a recording artist with far reaching international appeal. His initial hit single "I Can Help" sold over one-million copies in Europe and over two million worldwide. Swan's debut Monument album was also entitled "I Can Help" received outstanding critical acclaim internationally along with the single. "I try to keep my options open for all kinds of music," says Billy. "I just get a groove going and don't worry about any particular style." On his way up, Billy has been exposed to some very good music. When Bob Dylan was recording his classic "Blonde On Blond" album in Nashville, Billy was working in the same recording studio, emptying the ashtrays. He made his debut as a record producer with Tony Joe White, cutting "Polk Salad Annie," and he was an original member of Kris Kristofferson's band. "The rock & roll of Jerry Lee Lewis and Buddy Holly made me want to start playing it myself," says Billy, who took up the drums at age 14 and hitchhiked to gigs in local beer joints. He later taught himself to play electric piano, rhythm guitar and organ. Some friends who had a group went to Memphis to record with Bill Black, so Billy tagged along. Black liked one of Billy's songs, "Lover Please". The group recorded it but it wasn't until much later, when Clyde McPhatter cut his version of the song that it became a hit. While he was in memphis, Billy lived with Elvis Presley's uncle. Billy joined the group that did "Lover Please" originally. Mirt Mirly and The Rhythm Steppers, and worked with them for two years. Most people have heard about Kris Kristofferson's early days in Nashville when he swept floors and moved microphones around the Columbia Recording Studios. But Billy has the dubious distinction of holding that job first, and he gave it to his friend Kris when he left. When Kris Kristofferson's first LP was released, he needed a backup band in a hurry, so Billy offered to help. In fact, Billy had just three days to learn how to play bass before the band's debut at the Troubador in Los Angeles. Billy later brought his friend Donnie Fritts into the group on piano. For a year and a half, they all stumbled and laughed across America together. Through his "I Can Help" album, he completed two highly successful European tours and scored with his second Monument album entitled "Rock 'n' Roll Moon", featuring Swan's second hit single "Everything's The Same (Ain't Nothing Changed)." Well-known in music circles since the early 1960's as a top songwriter, sideman and producer, Swan's songs have been covered successfully by Elvis Presley, Waylon Jennings, Loretta Lynn, Conway Twitty, and many others; one of the first he wrote, "Lover Please," was a #7 hit for Clyde McPhatter in 1962, and landed a Grammy for Kris Kristofferson and Rita Coolidge in 1975. As a first-time producer Swan notched the Top Ten in 1969, with Tony Joe White's "Polk Salad Annie." Swan articulates a passionate range of influence from Hank Williams to Buddy Holly to Jerry Lee Lewis. Swan's artistic talents have also branched into motion pictures and the stage. As an actor/singer, Swan appears in David Lynch's "Wild At Heart" and in "Songwriter" with Willie Nelson and Kris Kristofferson. Behind the camera, he worked with T. Bone Burnett as Assistant Music Director on "Great Balls Of Fire" starring Dennis Quaid as Jerry lee Lewis. Using William Shakespeare's words as lyrics, Swan wrote a poetic music score and performed the role of the singing minstrel, with critical acclaim, in Director Tony Richardson's stage production of Shakespeare's "As You Like It" starring Stockard Channing and Bruce Davison. Billy Swan's new solo album was recorded with skillful musicians in Memphis at the legendary Sun Record Studio, Promising to explore new avenues in original compositions, the music of Billy Swan is a welcome back for the '90s. It is a collection of songs Elvis recorded which have been rearranged somewhat and Billy says he's very happy with the end result. They are thinking of calling it "The E Project" or "Like Elvis Used To Do". It will be available on 706 records and he hopes all Elvis and Rockabilly fans like it. and The Billy Swan Band toured Europe 1993-95. 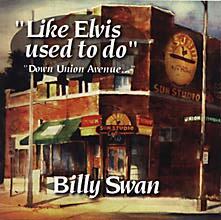 Billy Swan is back "bigtime" with his new "Like Elvis used to do" CD. Recorded at Sun Studios, it is available now through Sun (800-441-6249). Call today!